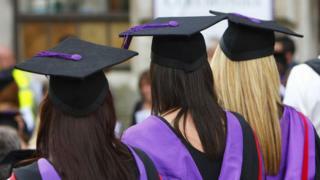 Theresa May is set to announce that tuition fees will be frozen at £9,250 a year in an overhaul of student funding. The prime minister said the repayment threshold would also rise, so graduates will only start paying back loans once they earn £25,000, rather than £21,000. The announcement, as the Tory Party conference opens, comes after both tuition fees and student loan interest rates were raised from the autumn term. Labour, which wants to scrap tuition fees, called the plan “desperate”. 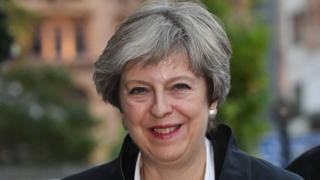 The prime minister, who is in Manchester for her party’s conference this week, made another pledge to extend the Help to Buy scheme. The planned £250 increase in tuition fees for 2018-19 to £9,500 will not go ahead and fees will instead remain at the current maximum of £9,250 per year. The overhaul of the higher education sector could also see the introduction of fast-track, two-year degree courses, an idea which has been suggested to limit the costs for young people considering higher education. Other ideas being considered by the government as part of the overhaul are cutting the interest rates on loans and introducing lower fees for students studying certain subjects, such as engineering, where there is a skills shortage. Shadow education secretary Angela Rayner said the government was “out of touch”. She described the move as “a desperate attempt by the Tories to kick the issue into the long grass because they have no plans for young people and no ideas for our country”. But Conservative Party chairman Sir Patrick McLoughlin told BBC Breakfast that Labour had not said how they would fund its planned tuition fee cuts. He said his party’s plans were “costed” and “affordable”. Analysis: Is U-turn bold enough? Calling this a “freeze” on tuition fees in England is a distinctly positive spin on abandoning a policy of increasing fees above £9,250 only put in place this year. If not a U-turn, it’s certainly a Uni-turn. But it shows how quickly the politics have changed – with rising fees and ballooning debts now a toxic combination for any party wanting to court young voters. Although billed as a change of direction, universities had already predicted that a fee rise was “dead in the water” because, without a majority, the government had no realistic prospect of pushing it through. Perhaps more significant is the increase in the earnings threshold for repayments – up from £21,000 to £25,000. There is also the promise of re-examining interest rates for loans, hiked to 6.1% from this autumn. But this will be the first time an announced fee rise has had to be ditched. The question will be whether cancelling an increase will be a bold enough move compared with promises to scrap them altogether. Martin Lewis, founder of the Money Saving Expert website, welcomed the move, saying increasing the repayment threshold from £21,000 to £25,000 could save many lower and middle earning graduates thousands of pounds. Writing on his Facebook page, he said “every single graduate earning over £21,000 a year will pay less”. “And it has a long-term progressive benefit too,” he added. However, he said details were still “sketchy” and it was unclear who it would apply to. The Help to Buy expansion will see £10bn go to another 135,000 buyers in order to help them to own their own home. The funding will allow recipients to get a mortgage with a deposit of just 5%. 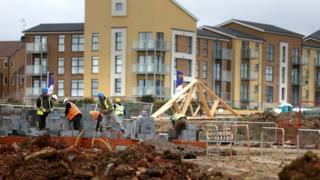 The money can only be put towards the purchase of new-build homes. Chancellor Philip Hammond said: “Young people are worried that life will be harder for them than it was for their parents – owning a home is a key part of that. The Conservative Party conference runs from Sunday until Wednesday – when Mrs May will be the final speaker in Manchester. The conference slogan isn’t “anything but Brexit”, but listen to what the party’s high command wants to talk about here in the next few days, and it might as well be. There is a clear attempt by senior Conservatives here to change the subject; stray beyond the ever present – and divisive – topic of leaving the European Union, and flesh out the government’s domestic political priorities. Ministers want to be seen to be addressing an Achilles heel for them at the general election – young people, who overwhelmingly rejected them in June. Hence two policies pitched directly at them: university tuition fees in England, and getting on the property ladder. The political reality, though, is Brexit – the defining political issue of our time – will never be far from the lips of people here. And neither too will the precarious state of the party and its leader, after the humiliation of going backwards in an election Theresa May called voluntarily.